If you check the flixel-demos Github page, you can find sample code on how to implement split screen camera, as shown on the demo page. In this tutorial, we will create a simple platformer which implements 4 cameras. The purpose is to demonstrate that it is possible to have multiple cameras with different properties. We won’t be needing any assets, because we’ll use the default HaxeFlixel graphics. // Collide player with level. // half in width and height. // it with a new one. To add more cameras, use add(). Note: The FlxG has a variable camera that controls the first main camera, whereas the cameras variable holds an list of all the cameras. Be careful not to make typos here. Notice that the background of each camera is of a different colour, but the screen is still showing the same content (one red player moving around). What this means to us, is that we know each camera has properties that can be customised individually. // the level and players, but let's ignore that for now. Please excuse the erratic movements — I was mashing my keyboard to simulate 4 players moving around in their individual screens. Anyway, I hope this tutorial gives you an idea of how multiple cameras can be used (e.g. for mini-maps or split-screen multiplayers). You can refer to the FlxCamera API for more info. 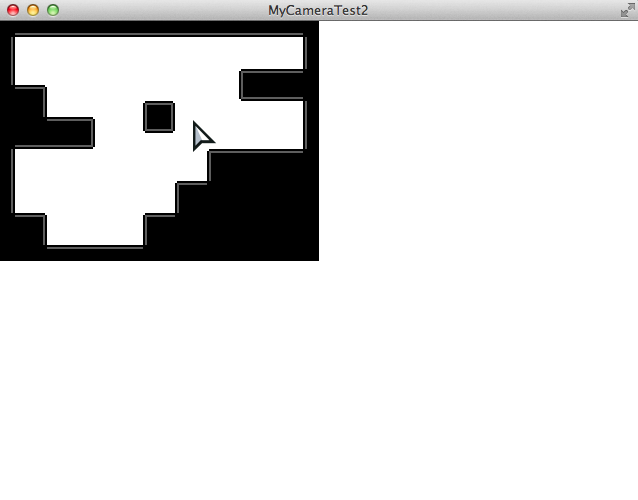 This concludes the tutorial on creating multiple cameras in HaxeFlixel.